I think this post is all my daughter’s fault. She has been fascinated with the Japanese culture since she was about seven years old–art, culture, society, etc. What once was an infatuation, has become a life thread for her, because she is engaged to a wonderful Japanese man and has been studying the language for years. We homeschooled for several years, and because of her love of Japanese art styles (and because of my love of poetry) we did a haiku & tanka segment for English lessons. I loved haiku and tanka because at that time of my life, I was trying to break away from strictly rhymed and metered poetry, but was having a hard time finding my free verse voice. It was a win-win segment of study for us! 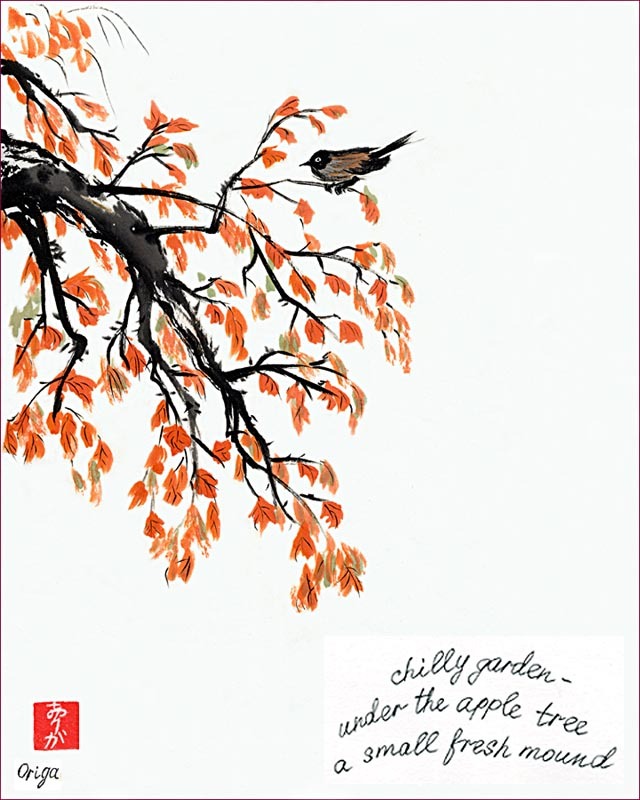 I actually found a website that says everything I want to say on the topic of Japanese Poetry Forms, but I noticed that there is a little word (Challenge) near the top of this particular page. Did someone just challenge me? Did they? Huh. DID THEY!? Perhaps I will have to do another 100 [Poetry Form] challenge of some sort after the 100 Haiku(s). I have haiku in the queue (not intended to rhyme, but I’m a poet & I don’t know it–but my feet show it; they’re longfellows (a ditty my grandpa used to always recite to me since I was the family poet from a very early age! I sure miss that wonderful man (Grandpa)), but just started working on the actual cards themselves. I have homes for about a dozen cards so far…after that is anyone’s guess as to where I will send them! Even my ice cream is celebrating National Poetry Month. Please bear with me, so I can share the story, which will eventually come back to the ice cream. Here’s another ‘I’ word: Icky, which is how I’m feeling– thus another day-late post and the screaming, but in my quietest inner-whisper voice. I’ve been battling a bevy of illnesses – shingles, autoimmune disease and migraines for a solid six weeks now. As a result, my appetite is nearly non-existent (which is good for losing weight, but not so good for regaining strength & energy). The migraine part has become another ‘I’ word, intense. Pain, brain fog, auras, fever & nausea and after a couple weeks of this, I was put on a medication to hopefully kill the migraine today, but I had to eat with it. I also needed gasoline, or my car would not have made it home or back to work today. What does one eat, when nausea makes everything sound horrid? What’s your favorite book, and why? Mine is and probably always will be A Wrinkle in Time by Madeleine L’Engle. It’s my favorite because I identified strongly with Meg, the main character at a time in junior high when I was ridiculed by my peers for my intelligence, awkwardness & whatever else they could find to pick on. Meg was my kindred spirit, and in her character, I found myself. A good book can do this for you. By the way, here’s an interesting timeline I found on the history of books. The ballade originated in France and is a strictly rhymed and metered poem that has my little pea brain boggled on how to explain it, so click the handy link above. Here are some examples of ballades to help your comprehension (and mine!). Now that I’ve learned about the ballade, I think I will have to try writing one for myself. How are you celebrating this B day of National Poetry Month? Beat Movement & Its Poetry: This Bohemian style of writing influenced a generation of non-conformists in the 1960s. It is the poetry I’m most comfortable with & I’d love to see a revival at spoken word & open mic events–I’ve even tried to recreate that vibe when I perform my own pieces at such gatherings. This style of poetry was meant to bring the art of poetry to the streets–edgier, free, raw and less confined by the constraints the academia demanded. You can still find traces of the beat movement in the small coffee shops and art centers tucked in quiet corners of cities all over the world. What exactly is a broadside? In a nutshell, it’s a sheet of paper with art and words. It’s commonly used in bookstores for displaying original poetry & artwork, and it can either be handcrafted & posted on bulletin boards at will…or it can also be a broadside including the words of a famous poet and/or artist for a cost. Most coffeehouses, libraries & bookstores have a bulletin board where you can post a broadside for the world (or at least your community) to see. A smaller version of the broadside is a poetry bookmark. 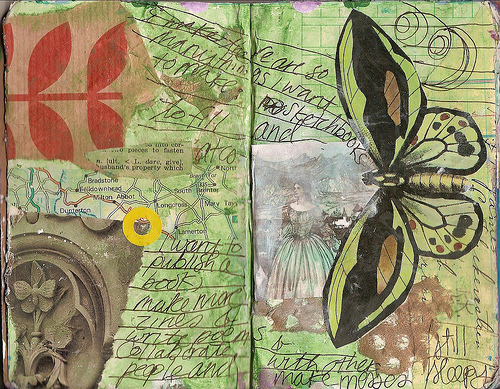 You can download free poetry bookmarks found on the internet, or get inspired to make one of your own with your favorite, original or found poem! If you want to pay-it-forward, slip a poetry bookmark into the next library book return. Art, film, books, poetry, music, dance–all of these are meant to inspire you in a beautiful and meaningful ways. May you be broadsided by the arts in an inspiring way today and every day. I also signed up for the A to Z Blog Challenge, which might seem insane, but well…I never have made any formal declarations regarding my sanity or lack thereof. Since today is brought to you by the Letter A, I will share some fun tidbits with you! 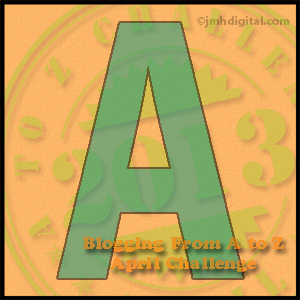 A to Z Blog Challenge became a hit in 2010 due to a random blog post by the organizer, challenging her followers to blog every day in April except Sundays, using a different letter of the alphabet each day as the theme. She got tremendous support and feedback, and when I signed up at the eleventh hour of 2013, I became Blog Entry #1673. I kept seeing my writerly friends tweeting #atozchallenge and there were so many of them, I became intrigued. I was already planning a bunch of posts to show how I was honoring National Poetry Month because I needed an excuse to blog! Ann is my middle name. It’s a family tradition. My grandma, who was named Aracelia, gave her name to my mother as her middle name (Anny Aracely). My mother gave her name to me in the same fashion (Cheryl Ann–only bill collectors call me Cheryl, by the way). In turn, I gave my name to my daughter (Jolie Cherie). She’s engaged to a wonderful guy…I wonder if she’ll carry on the tradition. Asparagus is my favorite vegetable. Especially wrapped in Bacon. Mmmmmm. I’ve been low-carbing since January…so far I’ve lost 19 pounds! 14 more to go…I can do this! Bring on the asparagus!! Acrostic – Another poetic form, a cousin to the abecedarian, if you will, in which the beginning of each line, when read top to bottom will spell out the theme of the poem. Write your own acrostic poem using your name at this fun website. So many more “A”-listed writing tools to talk about, but I shall save them for another post. Ah, fare-thee-well for now, my amiable friends, Allegory, Alliteration & Analogy!